It was looking a lot like 1995 on Thursday at the Old Course – at least for a few hours. John Daly, who won the ’95 Open Championship at St. Andrews, got off to a brilliant start in Round 1 of The Senior Open. After a bogey at the second, he made birdie at the par-4 third and then made eagle-3 at the par-5 fifth. He continued that run with birdies on Nos. 6 and 7, and then added another at the par-3 11th. 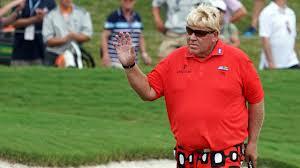 Daly was at 5 under par and challenging for the lead. But the inward nine proved more difficult as players turned into a stiff wind. Daly bogeyed the 12th and 15th holes and parred in for a 3-under 69. He finished the day four shots off the lead, held by Kirk Triplett. Daly has struggled with his right knee since a freak accident in April, when a car crashed into his RV in a parking lot during Masters week. He did not compete in the U.S. Senior Open when the USGA denied him the use of a cart. He also withdrew prior to the start of last week’s Open Championship at Carnoustie. Tiger Woods made it interesting again, but slipped from contention on the last day of a tournament. Despite being done in by some poor putting at the Memorial, he believes there still was valuable progress. Woods started the final round five shots off the lead, the third time this year he has been within five to start the last day and couldn’t turn it into a win. Bryson DeChambeau won the event in a playoff. Playing in the Memorial for the first time in three years, Woods birdied two of the first five holes Sunday before hitting from a fairway bunker on No. 6 to the rough in the back of the green. Still, he managed par. He hit his approach over the green on No. 7 and settled for par again. He couldn’t make up any ground on the par-3 No. 8, either, leaving his second shot just short of the hole. 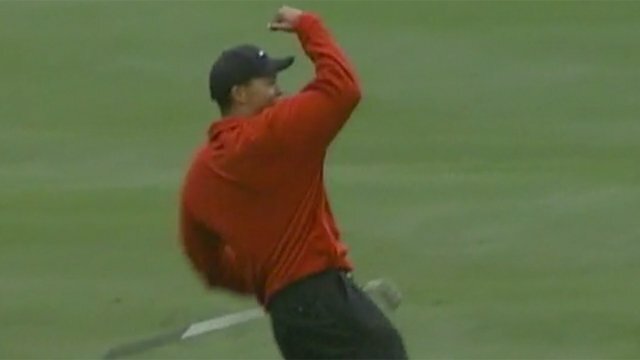 Missing a 3-foot par putt on No. 10 was a killer. He made a slick birdie on the par-5 No. 11, but missed a 7-foot birdie putt on No. 12, then hit his tee shot out of bounds on the 13th and finished with a bogey. He bogeyed the par-3 No. 16 when he missed another short putt, an unfortunate trend for Woods in a week when he was hitting the ball well off the tee. He now turns his attention to the U.S. Open in two weeks. Moving up and then falling back has become a trend for Woods in his comeback bid. 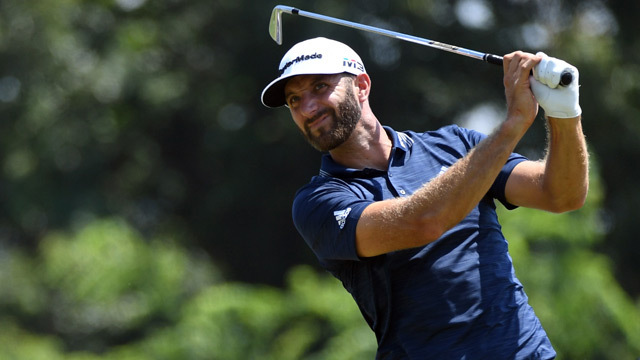 He was one shot behind going into the final round at the Valspar Championship in March and finished tied for second, a shot behind winner Paul Casey. He was five back at the Arnold Palmer Invitational the next week, but couldn’t do better than a tie for fifth, eight shots behind winner Rory McIlroy. He knows he has to improve but is happy with his game overall, especially because before back surgery in April he didn’t know if he would ever walk again, let alone play competitive golf. “Overall, if I just keep building on this, with how I’m hitting it right now, I’m in good shape for two weeks from now,” he said. His participation dialed up the energy level here all week, with thousands following him on the course and roaring their approval with every good shot. The crowds were supportive and respectful all week, he said, and he tried to just appreciate being here again. What an incredible day of golf at Planterra Ridge GC! 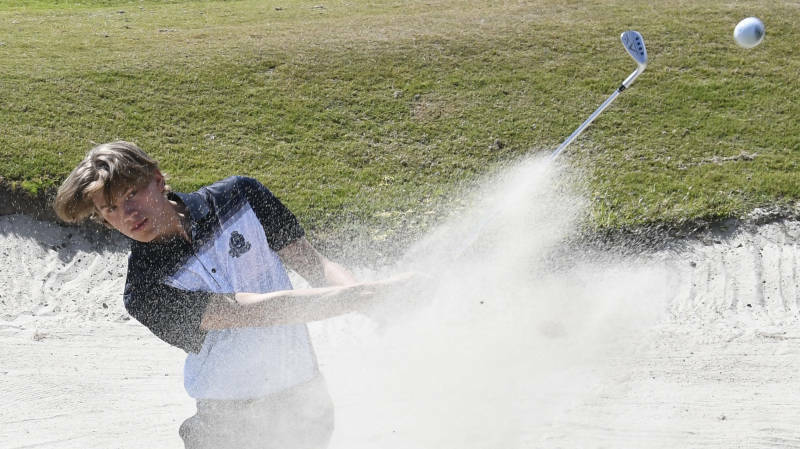 Jack Larkin and Sonny Skinner tied for medalist honors and John Smoltz secured the third qualifying spot in a playoff! Good luck in the #USSeniorOpen!